In this audio episode of The Handyguys Podcast Brian and Paul discuss a listeners question about recessed lighting. I recently discovered your podcast and I love it. I’m working my way through the archives, but I don’t see an episode on adding recessed lighting to a room. I know that there are many ways to go about this, but my home does not have an attic. It does have crawl space for the lights, but not one that I can access from above. I would need to cut holes into the ceiling and place the lights in the ceiling from below. I know that there are different types of lights based on new construction versus not, and I know that I would need to run wires, which could prove difficult since I don’t have access to the crawl space. I will be having my roof replaced shortly. Would it make sense to cut the holes and then as soon as the room is off, drop a lot of wire? Also, what are the appropriate types of lights, how many, and how far apart should they be in the room, etc. It’s a family room, so there will be tv watching, reading, kids playing, etc. The Handyguys initially responded via email to Rob but decided to dedicate a show to the topic. Listen to the show! The hardest part of retrofitting lighting is running the wires. You typically would cut into the drywall at every point where you needed to drill through a joist to enable fishing the wires back to your electrical panel. In the podcast we discuss some other options. As for the number of lights, pick up a good electrical book to help determine how many lights per circuit is possible (it will depend on the light used, other loading on the circuit, the wire and codes). Try and pick areas where they wont glare on the TV or in your eyes and provide the light where you need it. Dedicated lighting stores sometimes have lighting designers that can help you. True value stores will have everything you need to do this project. Check them out, they are a great resource for local advice and supplies. As always, listen to the podcast for all the discussion. We were one of the bloggers selected by True Value to work on the DIY Squad. We have been compensated for our time commitment to the program as well as our writing and productions about our experience. We have also been compensated for the materials needed for our DIY project. However, as always, our opinions are entirely our own and we have not been paid to publish positive comments. Images in this post Copyright © 2000-2010 Cooper Industries, Inc., used with permission. 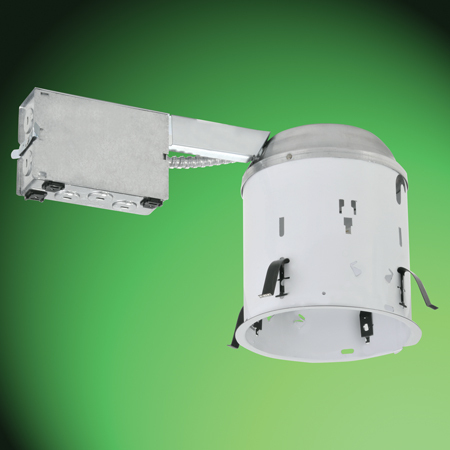 Great show and just wanted to let you know that Halo makes the shallow 6″ recessed light fixture for remodeling. Recently put 12X in my vaulted ceiling and they fit fine with the 2X6 rafters. Halo has a huge selection of recessed lighting options. Just in my basement finishing project I put in 20 of various styles and also have them elsewhere in my house. Thanks for taking the time to comment. You wouldn’t necessarily need a long bit… You could put a hole in the ceiling between two joists and drill both joists from that hole. That way you only need half the holes in the drywall for the number of joists that need drilling. I’d only do that if I was confident I wouldn’t hit anything that might be hidden by drilling blind. Exactly! Its good to somewhat know how your house is built so you can make the run with the fewest drywall cuts. On the other hand, drywall is pretty cheap. If you are good at patching and painting it may not be too big a deal to have an extra hole or two. Thanks for your comments Jeff. When it comes to renovating your home, lighting should be seriously focused since it is the only source to give real perception of your home. At times, people spend much on the interior and neglect the lighting part of décor. Consequently, they are unable to achieve the desired goals. That is so true. Lighting is very important. I grew up in a time when rooms just had an ugly light in the center of the room or the ceiling and nothing else except a lamp. Back in the day there was no such thing as a lighting designer. Now we have permanent fixtures for specific purposes. Thanks for commenting. I love the show, but you guys just contributed to the widespread ignorance of how electricity works when you were describing a friend who had accidentally drilled into a household power drop and said “fortunately he wasn’t standing on the ground.” Earlier you’d said he was standing on a freezer. The thing about a freezer or the ground is that both are grounded — the freezer more thoroughly than the ground itself. Its metal chassis is attached to the household electrical system’s ground which in turn is connected to the actual ground. What saved your friend was probably insulators in his drill and perhaps the rubber soles of his boots. Any insulator that either isolates you from electricity or, failing that, isolates you from the ground, will protect you. It’s best to not take a chance and avoid touching either or anything electrically connected to either. What you don’t want to do is provide a path for electricity to get from a hot wire to the ground via your body. Not standing on the ground and instead standing on something made of metal does you no good; it would be better to be standing on the ground since the ground is a poorer conductor. Of course, one should always wear insulating boots or shoes when working with electricity and to avoid touching metal objects with your bare skin. Judas – Thanks for the clarification! Sometimes when we banter we know what each other is saying but sometimes do not get deep enough into the discussion. The more technically correct thing that could have been said would have been ‘fortunately the electricity didn’t pass through his body’ or something similar. Be safe out there folks. The best thing would be to never drill a hole blind in the first place. That’s the word for it, no drilling blind holes. Nice share! Lighting is something I couldn’t get my hands on very right. I really need improvements on this delicate area specially with interior design. If you put in 6 inch remodel fixtures (ICtype if they’ll contact insulation) they will also acomadate LED bulbs, which use much less current, put out much less heat, and you can put more fixtures on the same circuit using these bulbs. They are more expensive, but have a 20+ year life expectancy. Thanks for the tips on lighting! Very helpful. Thanks! Recessed lighting always seems to make any home look great.